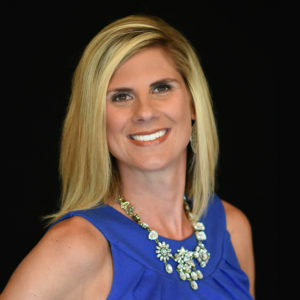 After graduating from University of Missouri Kansas City School of Dentistry in 2010, Dr. Danielle Riordan of St. Peters, Missouri, had what many would describe as the perfect set up: a partner in an established practice. The catch? The seasoned practitioner who’d be her partner was her dad, Dr. Mark Zust. Many of the staff and patients had witnessed her growing up over the years. Would they take her seriously on her own merit? “I know, it doesn’t sound like a challenge, but initially it was an uphill battle,” said Dr. Riordan. “I was met daily with patients who looked at me as ‘the daughter’ and still remembered when I had pigtails. I was often asked, ‘Are you old enough to be doing this?’ and have had a few patients throughout my career, even in school, who asked, ‘Are you sure girls are strong enough to do this?’ These comments only fueled me to exceed all possible expectations. To do that, Dr. Riordan began attending continuing education classes regularly, joined study clubs and became active in organized dentistry. She also immersed herself in whatever reading materials she could find to help better herself as a clinician, entrepreneur and as a person. Looking back, she wouldn’t change a thing.